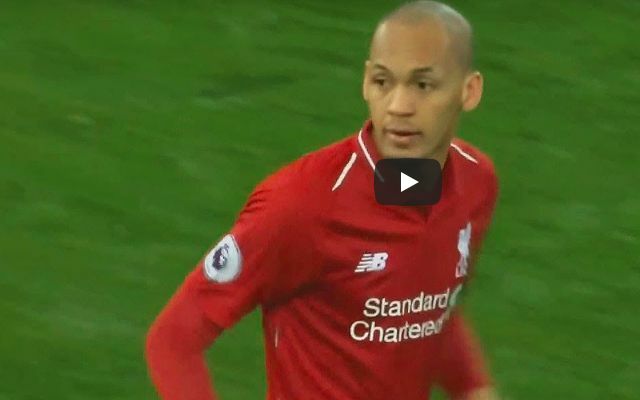 Fabinho continued his surge in a Liverpool shirt on Saturday with another influential performance during his side’s thrilling 4-3 win over Crystal Palace. The Brazilian further enhanced his reputation as a vital component to Jurgen Klopp’s setup with a bullish display in the face a rare Anfield adversity for the Premier League leaders. A blend of power and intelligent positioning saw him become a thorn in Palace’s counterattacking ambitions and reliable cover for Andrew Robertson’s driving runs. He meanwhile served as Liverpool’s go-to foundation in their bid to play out from the back, operating on the pivot as a green light for those ahead of him to make their runs. On more than one occasion he spotted and found the feet of make-shift right-back James Milner, including in the build-up to Mohamed Salah prodding home the hosts’ third. To see the gulf in progress between the former Monaco man and fellow summer arrival Naby Keita is quite astonishing considering their contrasting starts to life on Merseyside.